The environmental and agricultural benefits of the Sargassum seaweed will be highlighted in a public education campaign to be launched by the Conservation and Fisheries Department. Acting Deputy Chief Conservation and Fisheries Officer, Mr. Mervin Hastings said the Sargassum seaweed seen washing along the Territory’s shoreline provides a nursery for over 120 species of fish and invertebrates and provides protection similar to that of a mangrove. He added that the seaweed is an important nursery habitat that provides shelter and food for endangered species such as sea turtles and for commercially important species of fish such as tunas and mahi-mahis. Mr. Hastings said the seaweed is a natural occurrence and that it is believed that the recent influx is related to massive Sargassum blooms occurring in particular areas of the Atlantic and are not directly associated with the Sargasso Sea. Mr. Hastings said there have been recent cases where fishes have died as an indirect result of the Sargassum. 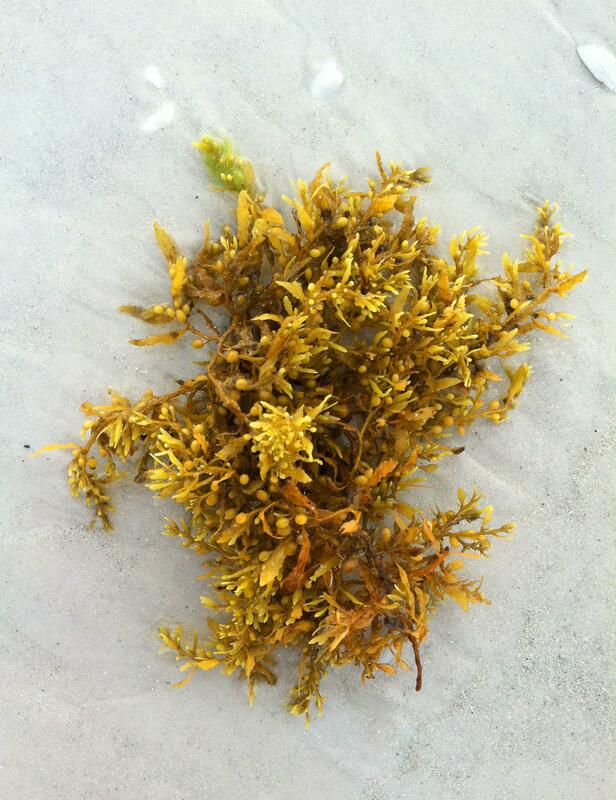 The Sargassum blocks the penetration of sunlight which reduces oxygen production by seaweed and other photosynthetic organsms in the water. After the Sargassum dies, the decomposition of the weed uses up the oxygen in the water column thus causing the marine life to die. Hasting added that there is a possibility that Sargassum seaweed being washed along the Territory’s shoreline can become a more frequent occurrence for the Caribbean region. He also stated that the bloom this year has been attributed to high sea surface temperatures and higher nutrient levels, among other factors. Average sea surface temperatures are also expected to rise over time as a part of the global climate change phenomenon and the Eastern Caribbean is in the process of using remote sensing satellite systems to track the arrival of Sargassum seaweed in the region. Deputy Chief Agricultural Officer, Mrs. Arona Fahie-Forbes said the department is also in the process of identifying ways in which the seaweed can be removed from the Territory’s waters without being harmful to the environment. She added that the seaweed can be used as a Bio-fertilizer. The department will host a Territory-wide clean-up of the Sargassum seaweed from October 17 to 19. Interested persons and organisations are asked to contact the Department of Conservations and Fisheries at 468-2700. The Ministry of Natural Resources and Labour endeavours to effectively administer the Territory’s natural resources in a manner that ensures long-term sustainability.